I’m no longer an amateur metal detectorist. 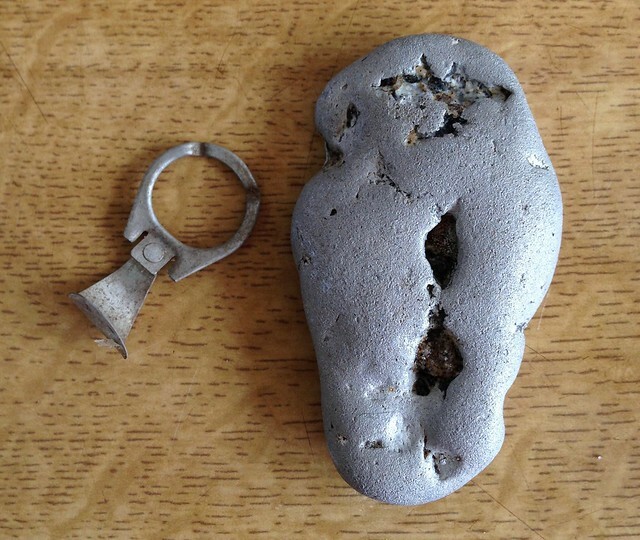 I’ve had four trips out now with my metal detector and on the last last trip I found a ring pull from a drinks can. This is the holy grail of finds. It will be pride of place in my collection, well at least until I find a bottle top. I also found a biggish lump of metal. Into my finds jar they have both gone. This entry was posted in Treasure Hunting and tagged Detectorist on July 31, 2017 by Richard.